This amazing introduction to Organic Gardening gives you all the foundations you need to get an organic garden up and running. Whether you have a large garden, or just a balcony, Margie Hare will give you all the best tips for creating a sustainable, rich and rewarding gardening experience. 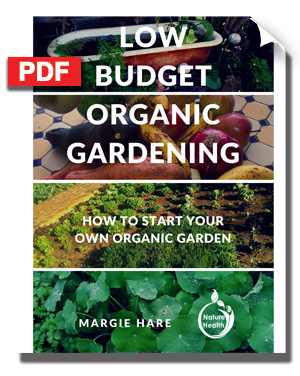 This organic gardening ebook is the first in a series of books that focuses on how you can garden on a low budget and in a variety of situations: garden, small spaces, balconies, etc. 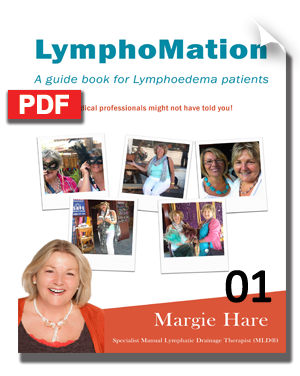 You will learn a wealth of information from Margie's life-long passion for organic growing and herbs, including winning Herb Woman of the Year in South Africa and best selling author of books on Aromatherapy (over 600,000 copies sold globally). This organic gardening starter book focuses on how you create healthy soil through composting, worm farms, weed control and using simple tools and equipment. 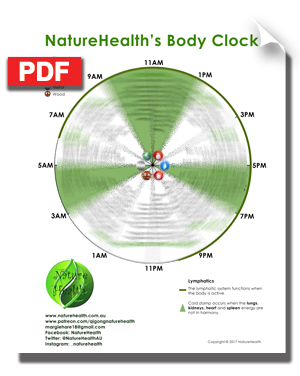 You will also find some basic information on the integration of animals and insects into the process. All great advice for you, the beginner, or even the practiced amateur. 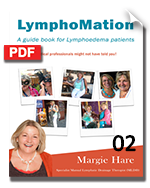 The ebook is in PDF format (delivered in a zip file) and is 23 pages long including images. 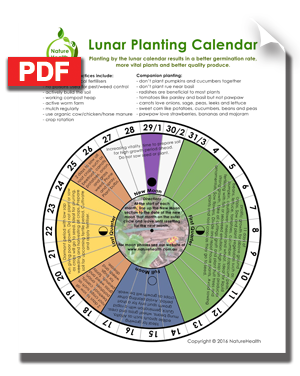 You may also be interested in the Nature Health Lunar Planting Calendar.